Time is eternal and all-pervasive. It is the most potent factor in human life. It waits for none. Time is money. 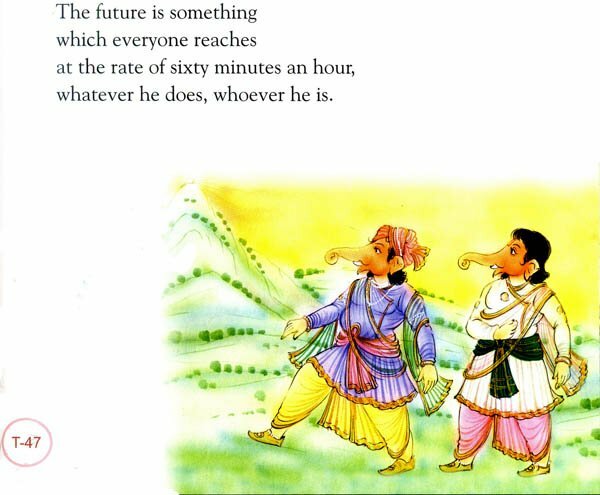 To remind the significance and criticality of Time, the authors have presented 100 exceptional quotes on Time, each quote is enjoined by a stimulating painting of Lord Ganesha, the Lord of Peace, Prosperity and Wisdom. Some of these enlightening and ever-inspiring quotes are from impeccable service and contributions to the progress of this world. Everything happened, happens and will happen fall under the ambit of time. Time is the best-know medicine and a good leveller and counsellor. It enables us to overcome the losses of the past and energize to run towards new goals. Though alpha and omega in nature, time is too short for a human being. Thus it reminds everyone to act wisely and harness it fruitfully as the wise, talented and the enlightened do. 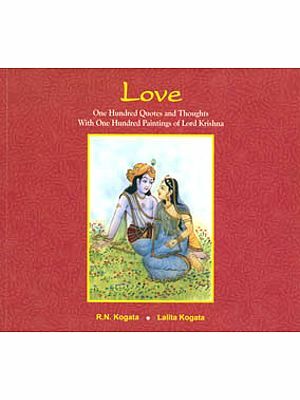 Other book authored by them are: Maa – The Mother, Pita – The Father, Pati – The Husband in the Eyes of Wife, Patni – The Wife in the Eyes of Husband, Parivaar – Family: The Art of Living Life, Bachpan – Childhood: The Gift of God, Insaan, Indian Marriage – Customs and Rituals; and a few very inspiring books of quotes on topics like: Faith & Trust, Family, Frienship, Happiness, Leadership & Teamwork, Life, Love, Management, Moods & Emotions, Relationship, Success and Work. Time is said to be eternal. It is said that it has neither a beginning nor an end. Yet we are able to measure it as years, months, weeks, days, hours, minutes and seconds and have also given meaning to past, present and future. Time has great meaning. It exists always. Time moves. It never stops. Time is fleeting. It is changing. Time is a free force. It does not wait for anyone. Time is precious. Time is money. It is one of the most powerful factor in human life. A minute not usefully spent is an eternal loss. Time once lost is lost forever. It can never be regained. It can never be captured. Therefore it is the most potent factor. Even the strongest and powerful monarchs have been helpless before time. Even they could not command time to stop. Everything in this world is commanded and decided by time. It conquers all. Nobody can escape the hold of time. It is the time which gives us the opportunity to make use of it. Those who make best use of time and avail those opportunities grow and rise in life. Those who waste their time lag behind. They fail to make any mark in life. He is the wisest who makes the best use of time. He rises to the great heights who keeps pace with the time. It influences every single moment and everything we do. Managing time is managing life. The entire creation moves on according to a time pattern. Our life is measured in terms of time. We grow in time, live in time and perish in time. There is time for everything. There is time to be born, to die, to plant, to pluck up which is planted; Time to kill, to heal, to break down and to build up; Time to weep, to laugh, to mourn and to dance; Time to embrace and time to refrain from embracing; Time to get, to lose, to keep and to cast away; Time to rend, to sew, to keep silence and to speak; Time to love, to hate, for war and for peace. But the time is limited, so don't waste it living someone else's life. The time flies and never returns. If you waste time, it wastes you. Killing time is not a murder; it is a suicide. Those who do not know the importance of time, waste it or rather they spend it doing nothing. It means, by wasting time one is not harming others but harming himself. Ordinary people merely go on thinking how to spend their time. The wise and talented make use of it fruitfully. "A stitch in time saves nine" is a popular idiom. It means that an act done in time saves from inconvenience and troubles. It brings reward. It is gainful and it saves one from hassles and confusions. Unnecessary delay and lazy attitude towards one's assigned duty is very dangerous. The great men of the world rose to fame, glory and success because they always made best use of their time. They made a mark in time. They became immortal. They are guides and sources of inspiration for generations to come. 'Time is the best medicine', it is said that time heals all wounds and it even heals what reason cannot. All human beings are emotional. When negative emotions like fear, anger, envy and jealousy overtake a person, he loses reason and acts in haste leading to serious consequences. He may repent later, as emotions cool down. But the damage done is done and remains forever. Even that damage can also be healed with the passage of time. People involved may forget and forgive. That is the speciality of time and its healing touch. Time is also said to be a wise counsellor. Passage of time allows an individual to grow. This growth gives experience. Experience helps in decision making. Time reminds one to act and to act wisely. The wisest makes use of the time fruitfully and grieves the most at the loss of time. To ensure best use of time in life, one needs to be very punctual. Punctuality avoids inconvenience and tension. It offers great opportunity, which, if struck properly brings out wonderful results. Opportunity once lost is hardly regained. Proper use of time brings success and achievements. Doing everything in time should be the guiding principle of life. Some people always complain that there is no time for them to do anything. That is not correct. If one wisely plans his activities, there will be time for everything happening in life. Man cannot say that he has nothing of his own. Time which is valuable is all his own. Let us learn to use our time fruitfully. This is the key to success. So, we should understand the importance of time and live a purposeful life. We should make maximum use of each and every moment. It should be valued. We are successful in life only when we make the best use of time. It should be realized that we should have time for the loved ones, for dreams, for faith, for education, for a worthy cause, for leisure, for earning money, for nature and so on and one should balance and manage his time for its best use. We all know that we can optimize the use of time by prioritizing, organizing, setting clear goals, breaking goals down into discrete steps, identifying areas of wastage of time, reviewing progress and avoiding procrastination. But many of us still do not give its due importance to time. Therefore we have conceived the idea of this book to tell you much more on time in just few hours. These meaningful quotes about time will touch, inspire and move you and you can thus endeavour to be the master of your own destiny. This book is having 100 carefully chosen quotations on Time, mixed, modified or created. Some of the thoughts presented are ours and others are from the people who have stood by and worked for the values, some were famous names and some others were ordinary people. We have tried to indicate in the acknowledgement page name of the persons who have been quoted wherever we could remember. Our sincere thanks to all these great personalities and eminent writers, who have given such invaluable thoughts to this world. Any amendment addition in this regard is most welcome from the readers. Ganesha gives peace, prosperity and wisdom also and therefore, each of the quotes in this book has a painting of Lord Ganesha to inspire you. These paintings have been created by our professional artists keeping in view the theme of every quote. We prostrate before our parents Smt Kanchan Devi & Shri Bhairav Lal Kogata, and late Kamla Devi Nuwal and late Prof. K.M. Nuwal, whose blessings have enabled us to grow in life. With the expectation of blessings and constructive feedback from all of you.